Does the dentist utilize Cone Beam CT Scan machines for ALL implant cases? Yes! Here at Ocean Breeze Dental we use advanced Cone Beam CT Scanning machines for ALL implant cases. Staying on top of cutting edge technology is a top priority. We want the best care and end results possible for each patient. 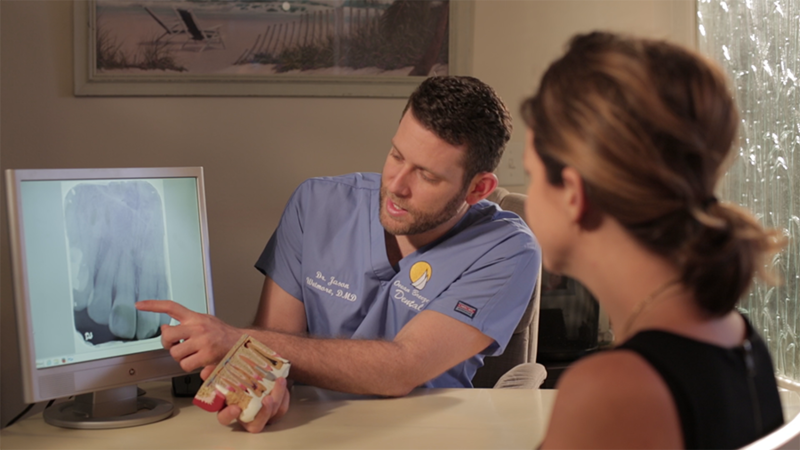 All technology used with the patient in the Prettau process is at Ocean Breeze Dental. Everything is done under one roof. Does the office have a dedicated surgical suite for placing dental implants? Yes! Our office is complete with dedicated surgical suites for our implant cases. It is important to keep these suites sterile and separate from the rest of the practice due to the nature of implant surgery. We take great care in maintaining the highest levels of sterilization in our office. Does the dentist have advanced implant training? Yes! Dr. Wetmore attends special training and advanced seminars on the latest procedures, products and practices all around the country. He specifically received Prettau Implant Bridge training from the dentist who brought the Prettau to the United States from Europe, Dr. Michael Tischler in Woodstock, New York. Ongoing training is something he continues and partakes in on a regular basis. Does the dentist place AND restore dental implants? Yes! 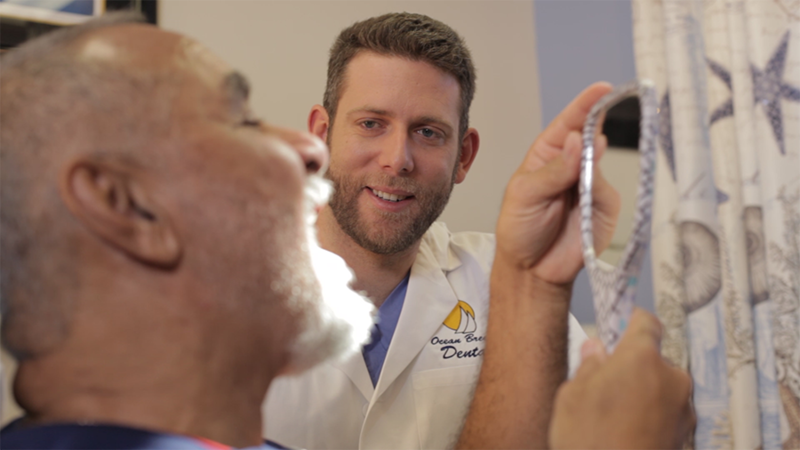 Dr. Wetmore not only works on new Prettau Implant Bridge cases, but can restore existing implants and dentures. Does the dentist show before and after images of his own treatment so you can see what he’s done for other patients? Yes! At Ocean Breeze Dental we are proud of the work we’ve done for our patients and are happy to show before and after photos. All photos represented are actual patients with their permission to use as examples. Is the dentist certified to offer conscious IV sedation sleep dentistry? Yes! 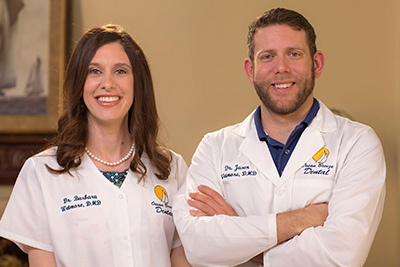 For patients who need extensive care or have a fear of the dentists, the team at Ocean Breeze Dental is fully prepared and equipped to make each visit as pleasant as possible, by using various types of medications and techniques to safely manage anxiety and control pain. These include nitrous oxide (laughing gas), oral sedation, and IV conscious sedation.